Divide Clinic Immunizations are on Mondays by appointment. Cripple Creek Clinic Immunizations are on the 2nd and 4th Wednesdays of the month. Call (719) 687-6416 to make an appointment. Please bring your immunization record with you to every visit! To help facilitate your visit, you can download our registration and billing forms ahead of time. Children usually get immunizations at 2, 4, 6, and 12-18 months of age and again at 4-6 years, 11-12 years, and 16-18 years. Do you have questions about immunizations? Bring in your child’s shot record and ask our nursing staff or see this article answering common questions about immunizations. Are you behind in your child’s immunizations? Bring in your child’s shot records and our nursing staff will create a catch-up schedule to ensure that your child is protected. 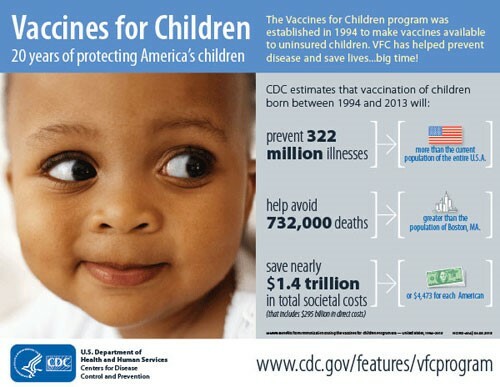 Low cost to no cost immunizations available for uninsured or underinsured children birth through 18 years of age through the Vaccines for Children (VFC) Program. 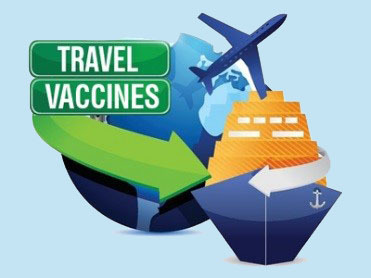 Do you need travel immunizations? Teller County Public Health and Environment has limited travel immunizations like Hep A, Hep B, polio, tetanus and measles/mumps/rubella. We do not offer malaria or yellow fever immunizations. Most Health Insurance providers do not usually cover travel immunizations. Please call Public Health for a price quote and appointment at (719)687-6416. Take a moment to check out the CDC site for up to date travel alerts and practical recommendations for travelers. Teller County Public Health and Environment accepts Medicaid and most forms of third party insurance.